Accurate text/dialogue/menu font from Hideo Kojima's videogame SNATCHER (Konami 1988). MSX2 version. 2x screenshot. 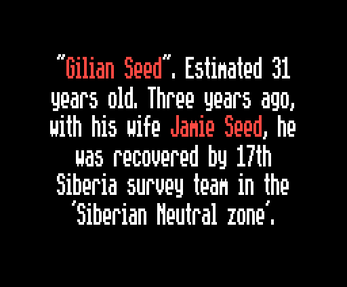 Mr. JUNKER MSX Pixel/Bitmap Font. Nice font :) In case you don't know, it has ü, but not äë and ß, which would be needed for German. This looks great! 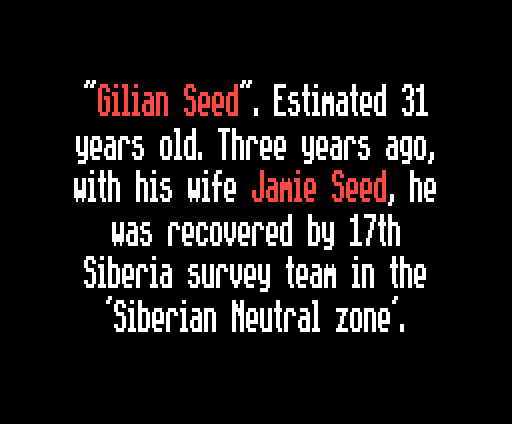 I'd love to see a SNATCHER font for the Sega CD version.